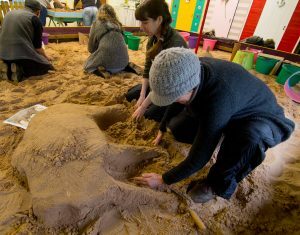 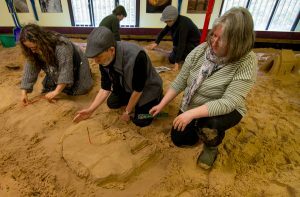 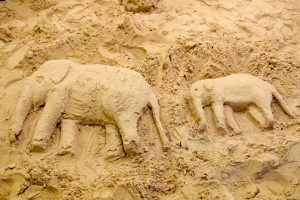 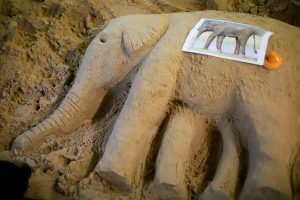 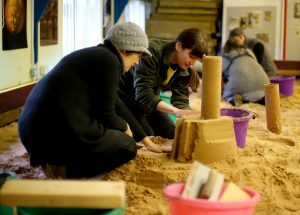 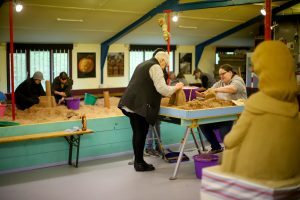 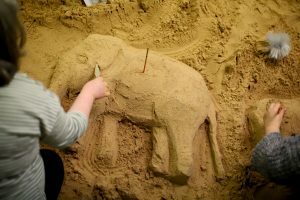 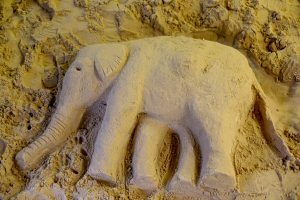 We run workshops in sand sculpture and ice sculpture from our studio in West Yorkshire and nationally too. 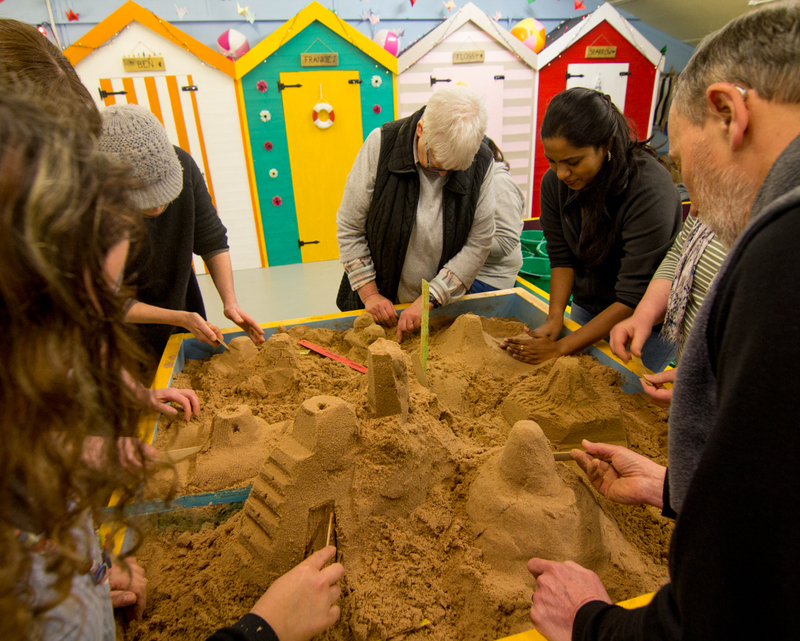 We also train others to lead their own workshops, from teacher training, youth leader training for companies looking at creative ways to engage with the public. 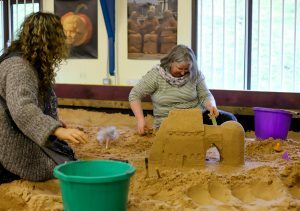 Of course not forgetting the team building events we run too! 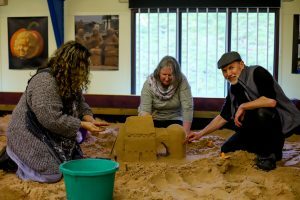 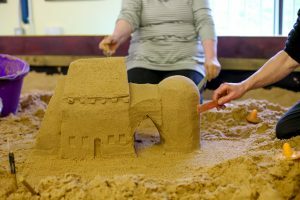 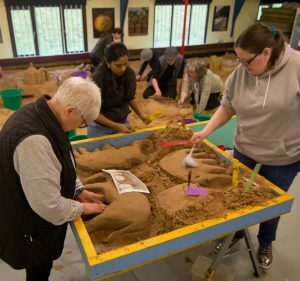 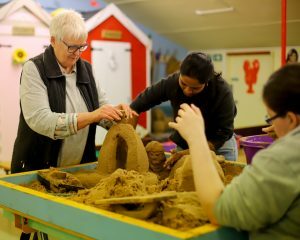 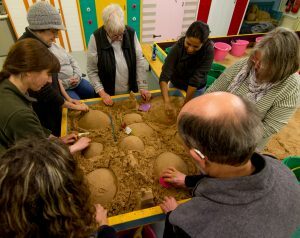 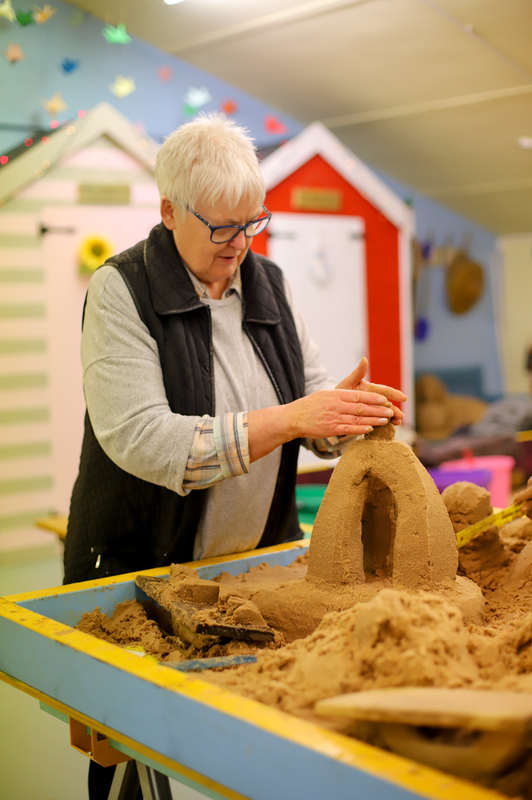 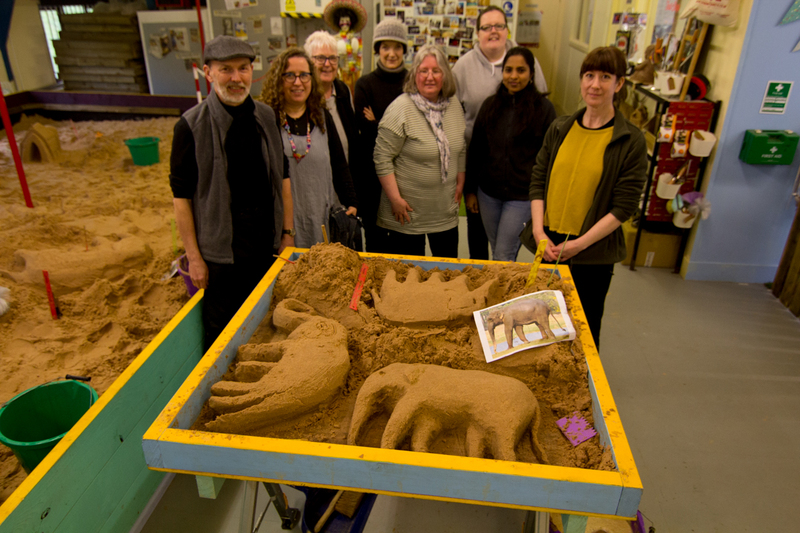 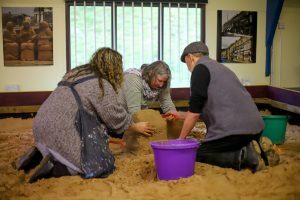 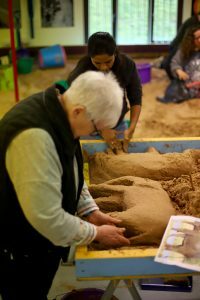 It was lovely to be able to work with our friends at The Sand House in Doncaster again, this time training their team of volunteers to run sand art workshops of their own. The team came along to our studio near Hebden Bridge on a rather rainy Tuesday. 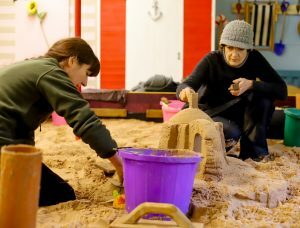 Luckily we always have the good weather at our indoor beach! 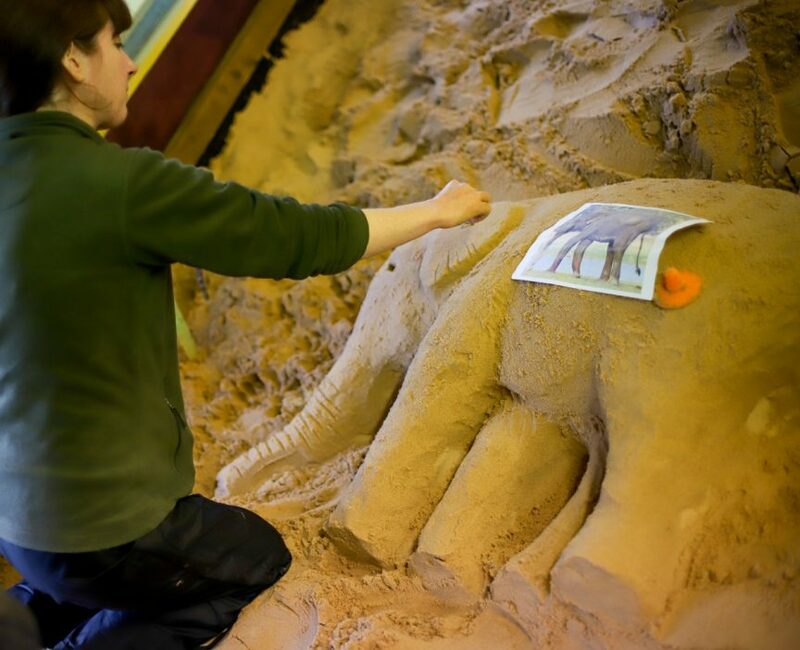 Jamie lead the workshop with a series of sand sculpture tasks, working both in the sand pit and at sand tables. 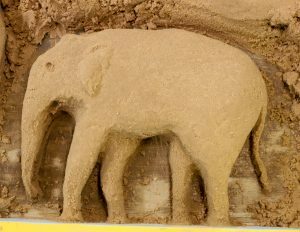 Focusing in compaction techniques and how to use the tools, then on to working with proportion and scale. 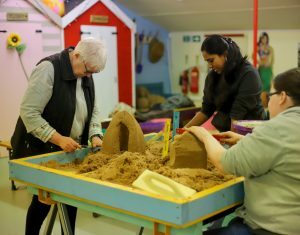 We also discussed workshop formats, risk assessments and set up. All in all a great package to allow the charity to spread the word about the Sand House in the medium of sand. 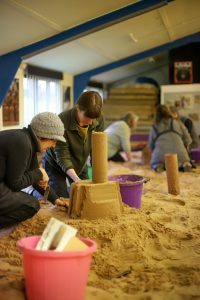 To find out more about the Sand House and their up and coming events follow the link. We had a great time with you. Thank you from all the Sand House team. 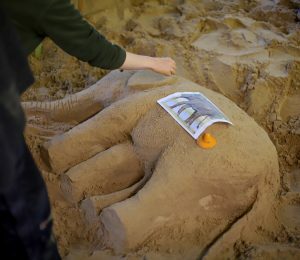 Thanks for all the great advice and tips!